I absolutely love curry so I wanted to try it on some roasted cauliflower. Wow! It was delicious! It was sooo good that I had to have it 3 days in a row! Yes, it was that yummy! 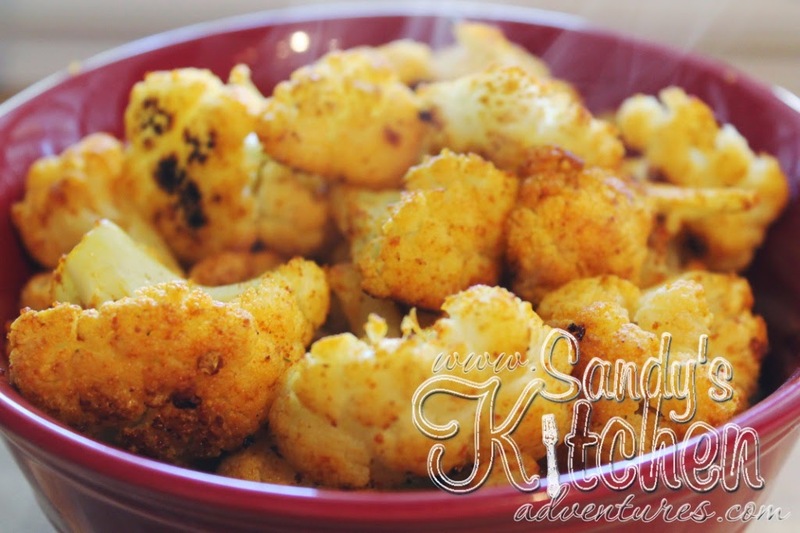 I just love how curry adds a warm spice flavor, along with the smoked paprika, and bring boring cauliflower to life. It is so easy to make! You could use one medium head of cauliflower and cut it up into bit sized florets or you could buy the cauliflower already cut up and ready to go in the produce section. 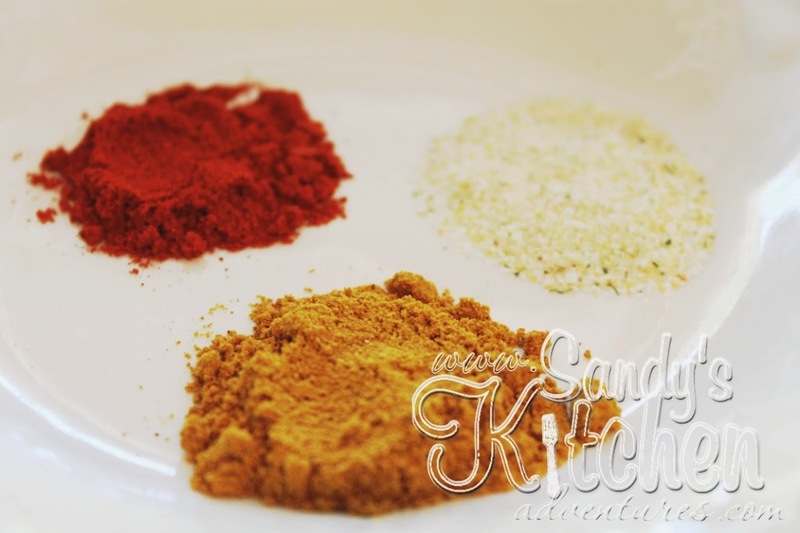 I used three different spices: curry powder, smoked paprika and garlic salt. I think they make a nice combination of spices. Feel free to use regular salt if you don't have garlic salt. As for the smoked paprika, I would rather stick with smoked paprika rather than regular paprika because it gives a sweet smokey taste. 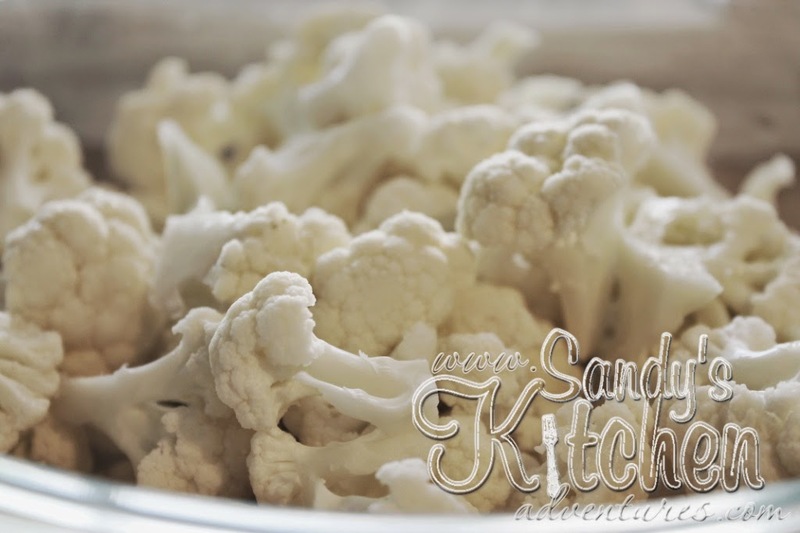 Add 1 tbsp of olive oil to the bowl of cauliflower. Toss the oil and cauliflower around in the bowl. Try to make sure all the cauliflower florets get covered with the oil as much as possible. Pour the cauliflower into a gallon sized Ziploc bag. 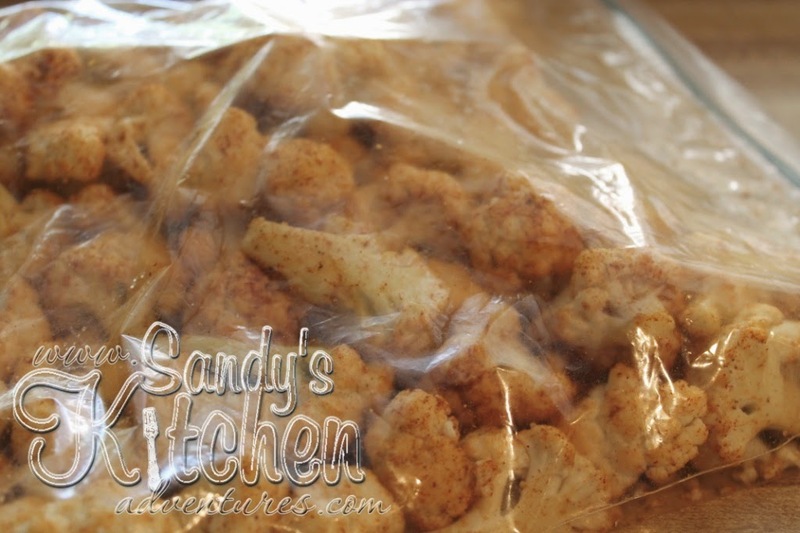 Sprinkle the spice mixture over the cauliflower in the bag. Shake the bag and massage the cauliflower with the spices so that all the florets are covered. 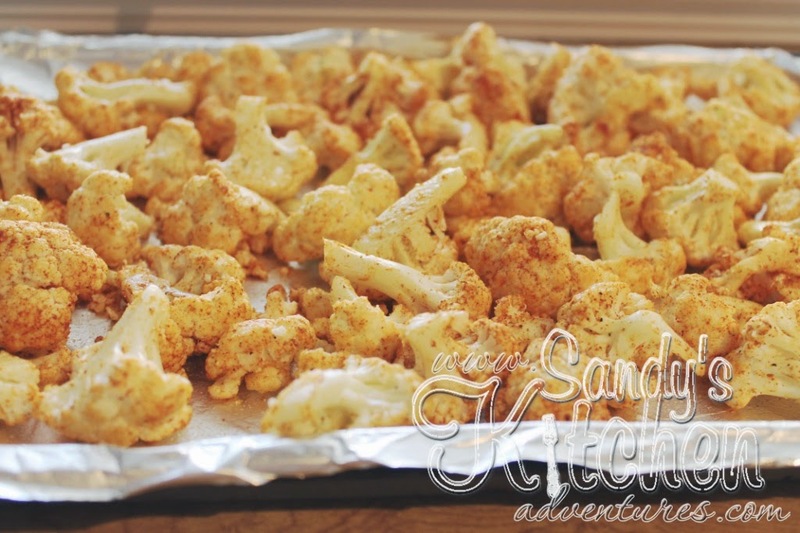 Pour the cauliflower onto a baking sheet lined with non-stick foil. Bake at 425 degrees for about 25 to 30 minutes, turning once half way through. 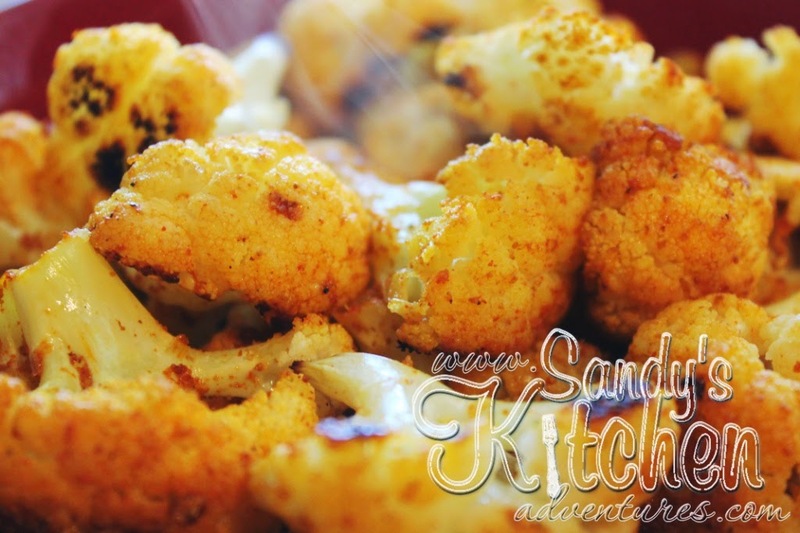 Mmmmm... delicious curry roasted cauliflower! Preheat oven to 425 degrees. Line a baking pan with non-stick aluminum foil. 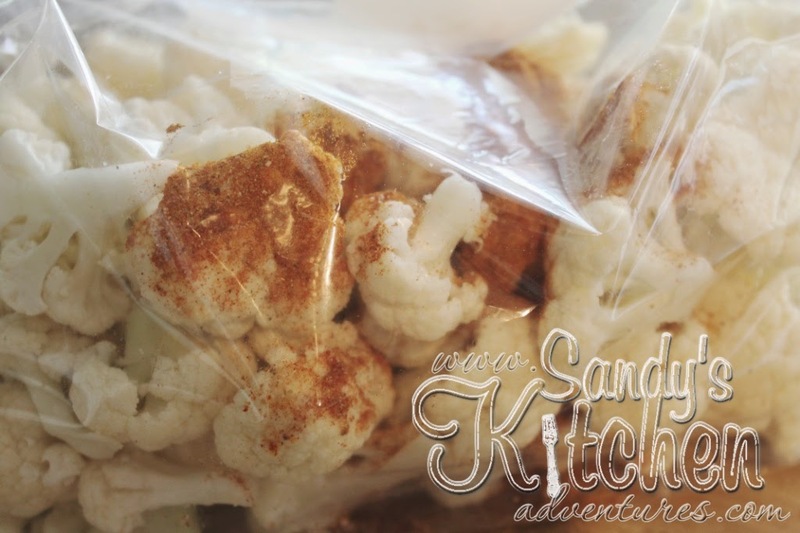 Combine oil and cauliflower florets in a gallon size Ziploc bag and shake the bag until combined. Try to make sure all the florets are coated with oil. Then put the curry powder, smoked paprika and garlic salt in a small bowl and stir until combined. Pour the spice mixture over the cauliflower florets and shake the bag until all the pieces are coated with the spice mixture. 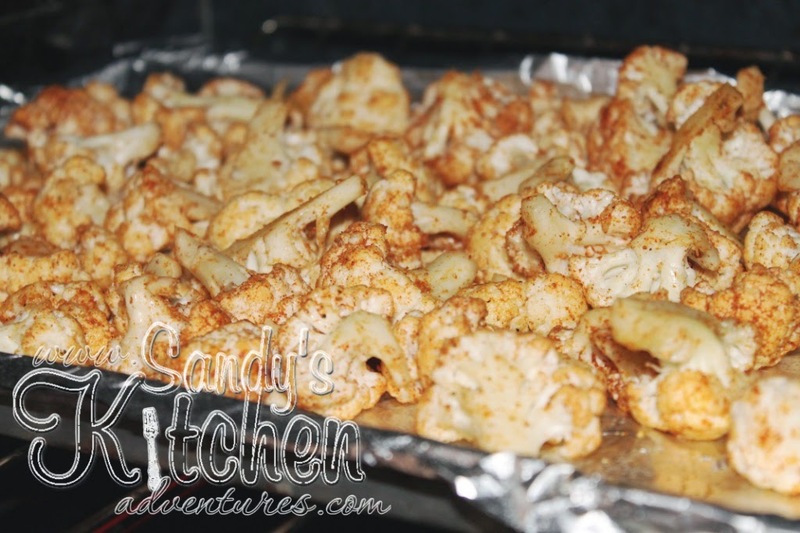 Spread the cauliflower florets on prepared pan lined with non-stick aluminum foil. Bake for about 25 minutes; stirring halfway through.